Kelowna Commercial Property Leasing | Argus Properties Ltd. Successfully in business for over 40 years, we have a proven track record and the expertise to provide exceptional service in the areas of leasing, project management, property management and construction. Headquartered in Kelowna, British Columbia, we believe in responsible and sustainable development in our communities. Our intimate understanding of the local market has allowed us to build an extensive portfolio of properties that includes innovative commercial buildings, modern residential developments and versatile business parks. At Argus, we understand the complexities that many businesses face while searching for the right facility. Our experienced construction and leasing departments are committed to assisting you every step of the way. From consultation, to property selection, and to customizing your space, Argus Properties offers a comprehensive range of services to businesses looking to expand within the Okanagan. 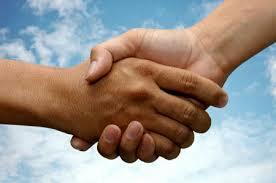 Throughout our history, we have been known for our commitment to building long-lasting relationships with our clients. We take pride in our dedication to excellence, our reputation for quality, and our promise to find or develop premium properties for clients emphasizing value quality, sustainability and efficiency. At the heart of our business, innovation continues to drive us forward. Today, the Argus Properties name has grown to be synonymous with uncompromising quality and outstanding service.